You guys know how big a fan the hubby and I are of Rickards Beer! We've worked with them over the last couple of years and have always had a great experience with them. So when I found out about Rickards teaming up with Drambuie, I was curious and wanted to see what it was all about. 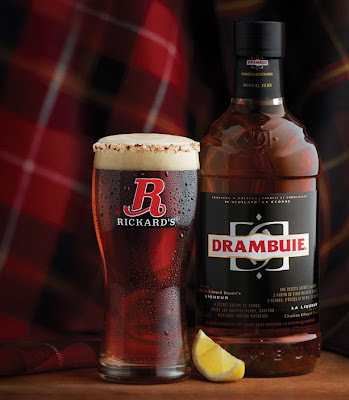 Right now you can head to both Rickards Beer and Drambuie's Facebook pages to see the five unique beer cocktail recipes they came up with that both men and women will enjoy. 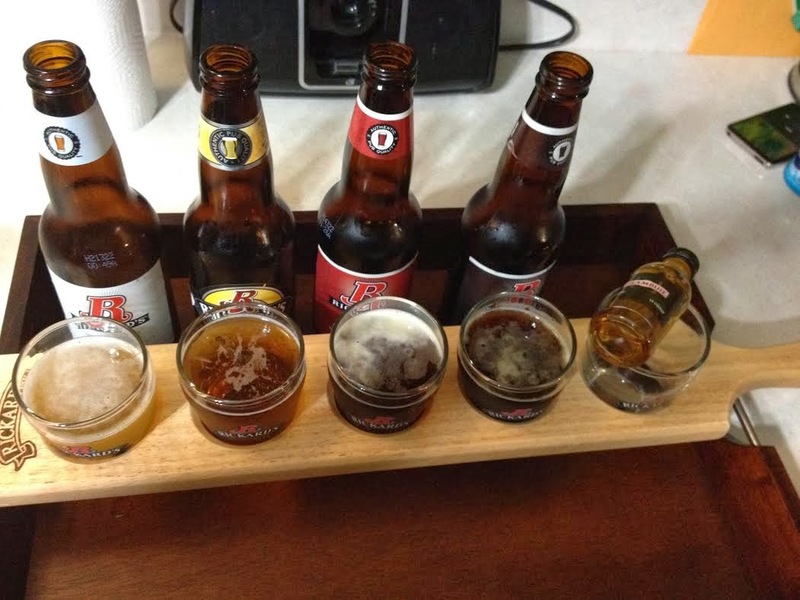 I was sent various flavors of Rickards Beer (White, Blonde, Red & Dark) and a few samples of Drambuie to mix together. Since we were sent a beer paddle and sampling glasses, we decided to make an evening of tasting the different flavors of Rickards with Drambuie. I have to say the combinations with Drambuie and Rickards was awesome. I really loved the taste of both Rickards Dark and Drambuie. This cocktail is called Dark Dram, the combination of both made a nice taste and wasn't too strong, but still had the taste of the dark beer we loved. That was the hubby's favorite. For me, I think I loved mixing Drambuie in with Rickards White. This is my all time favorite beer from Rickards. It's already really light, so those of you who aren't really fans of beer, wouldn't mind this. With Rickards White and Drambuie, also known as White Lion, was very smooth and went down so easy. It was delicious. To see the rest of the cocktail recipes, you can head to either Facebook page of Rickards or Drambuie. These cocktails would be perfect for the upcoming holidays and for New Years! Disclosure: All opinions are my own. I received the above mentioned products above at no cost for the purpose of this review. No other compensation was received.